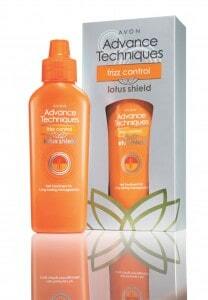 Free Samples of AVON Lotus Shield Anti Frizz Treatment ~ Very Limited Time Offer! Say goodbye to frizz, flyaways and untamed hair! Vinette Silvers is giving more FREE SAMPLES and this time she has AVON Lotus Shield Anti Frizz Treatment. Be one of the first 1,000 people to Like Vinette Silvers Avon Representative on Facebook and try the breakthrough lotus-inspired technology that defies up to 97% humidity and keeps hair smooth and well-behaved. Free samples are available to the first 1,000 registrants. Limit one per person. You must Like Vinette Silvers Avon Representative on their Official Facebook page before Midnight on April 16, 2012 to be eligible for this offer. Please allow 7-10 business days for shipping and handling.